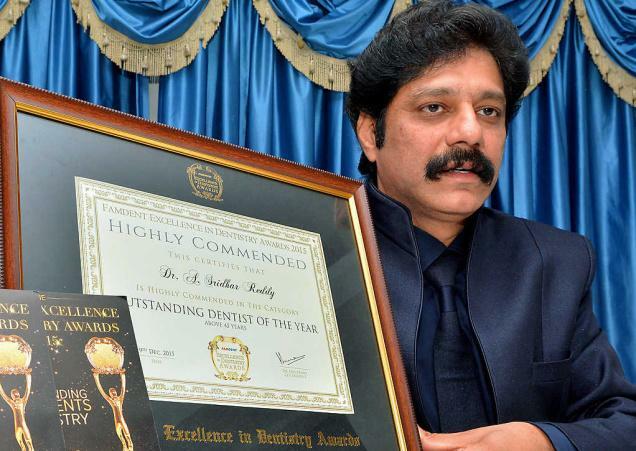 Famednt Excellence Award for Dentistry was won by Vijayawada dentist, A.Sridhar Reddy. This is the third consecutive year, he is taking this award. The event was held in Mumbai, which was presented by International College principal Prof. Philip Dowell. Dr.A.Sridhar Reddy was a senior most dentist in Vijayawada, who is practicing since the past 20 years. He is also acting as the chairman of Indian Red Cross Society.